This Thai song, “Thur Hai Wung” (You give me hope), was sung by the ex-singer of the female duo band, “Doke Mai Pah” in 1982. 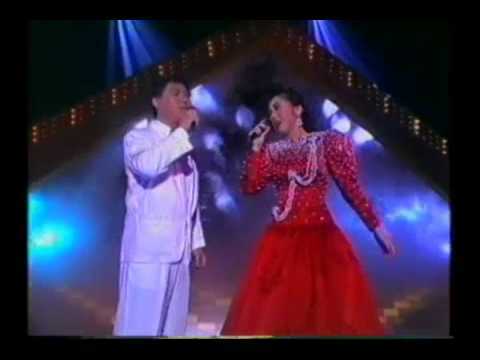 The melody of this song was copied from Chinese song, 兩忘煙水裏 1982 TVB . We found the song “Ther Hai Wang” (You give me hope), VDO clip in the old Pises Powder Advertisement VDO. The VDO was used for the purpose of outdoor movies trailer to promote Pises Powder Parachute Brand throughout all provinces in Thailand in year 1983. This entry was posted in Oldies Stories. Bookmark the permalink.